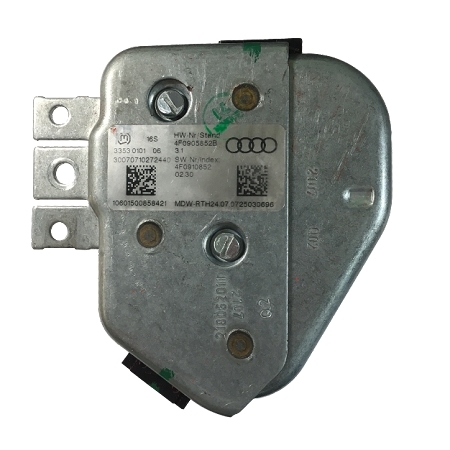 Cloning Service for Audi C6 A6/S6 Start/Stop Authorization (Steering Lock Module with Integrated Immobilizer Module), also referred to as J518 module (located under the steering column). 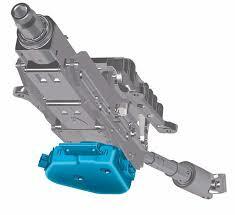 Common issue in Audi A6/Q7 vehicles that incorporate electronic steering lock and immobilizer module into one unit. Issue typically identified by no start and no response from key in the ignition, or proximity access (Start button). The Steering Lock / Ignition Module is responsible for key/transponder recognition, unlocking steering and powering up modules in the vehicle. If there is an issue with any of the Steering Lock components (actuator motor, sensing micro switches, relay) or the integrated Immobilizer system Microprocessor or PCB (brain of the immobilizer system), the module will not power relays and wake up systems. End result, no ignition and no engine start. This service provides Configuration/Identity Cloning from your existing Steering Lock module to a Donor Module (Provided by the Customer). The module can be separated from the Steering Column. By dealer standard, the Module itself is not a serviceable item, which means that the dealer will replace the entire steering column that integrates the Steering Lock box and Immobilizer box/brain. The dealer cost to repair is roughly $1500 for parts and $500 labor, including the need for Immobilizer coding with Audi online access + any possible towing fees incurred by the owner. Requires shipping of Immobilizer components (existing Steering Lock Module + one Key for testing).